The North Cape Wind Energy Interpretive Centre is an adventure in itself, appealing to adults, children of all ages, tours and school groups. 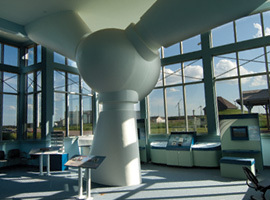 State-of-the-art displays offer countless opportunities for hands-on and visual learning about the importance of wind energy and the means to harness this renewable resource. Children will love viewing the variety of marine life in the aquarium housed inside the interpretive center. Displays and interpretive panels will take you on a stroll through time to explore the colorful history of North Cape area, including storms, shipwrecks and ghost ships! 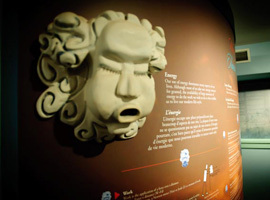 Learn about the area’s natural history and the various cultural groups that settled here. 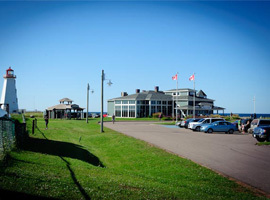 The centre also houses the welcome centre, North Cape Gift Shop and the Wind and Reef Restaurant.